Cellulite is a bummer! Literally. Cellulite tends to commonly occur around the bum and the thigh areas. So, what are those frustratingly annoying dimples that we all have to fight? 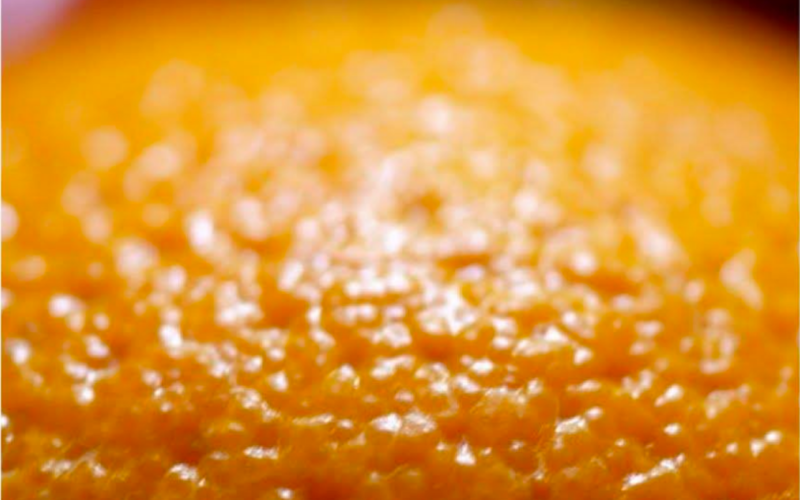 Cellulite is a condition, which leads to skin having a dimpled and lumpy appearance frequently referred to as ‘cottage cheese’, ‘orange peel’ or even ‘hail damage’. Cellulite can affect both sexes, although it is much more widely spread in females (80-90% will experience cellulite at some stage in their lives starting from as early as teenage years, late teens, 20s and early 30s). Women carry a lot more fat in the lower part of their body (especially around hips and thighs) and, due to this, along with the different distributions of fat, muscle and connective tissue, suffer from cellulite a lot more than their male counter parts. We have far less supportive connective tissue to ‘control’ and ‘enclose’ it all, hence we tend to be more affected by cellulite than men. Fat cells and connective tissue layers are arranged in a ‘portrait’(vertical) way in women, making it easier for the stubborn fat deposits to protrude to the surface through the collagen fibres, or dermal layers. In men, the tissue has a structure, similar to that of a scaffolding, with the ‘X’ crosses-, which potentially forms more of a barrier for the fat tissue trying to get through. It’s all very well knowing what cellulite means, but let’s get to the crunch of what causes it and how one can get rid! Hormones tend to play the lead role in cellulite formation-estrogen, insulin, prolactin along with thyroid hormones are all part of the cellulite production process. Estrogen is the hormone that is believed to bring the blood flow to the dermal connective tissue under the skin and feeds the skin with nutrients, vitamins and, most importantly, oxygen. Production of estrogen decreases with age and in the approach to menopause, which is likely to lead to poorer blood circulation in the problematic areas, such as bums, thighs, stomach and hips, resulting in lower collagen production. This would, in turn, lead to less collagen being available for the production of the new skin cells. Furthermore, fat production increases as estrogen levels fall. Why is it that us girls can never win?! So, the skin loses its elasticity and hence becomes more saggy and baggy! Through the thinness, the protrusion of fat deposits becomes more apparent and, hence, more visible. GENETICS…CAN THEY TAKE THE BLAME? Cellulite happens to the likes of Victoria Beckham and Cheryl Cole. Being slim doesn’t ‘save’ us. Cellulite can invade all ages and sizes. That said, being overweight is likely to stretch and stress the skin more by allowing the fat trying to protrude through weakening dermal tissue to come to the surface resulting in a more visible dimpling effect. The unfortunate truth is, exercise alone, will not cure it. Cellulite is caused by the weakening of the dermal fibres under the skin which results in less collagen being produced leading to the skin losing its elasticity, becoming thinner and saggier! Firming and tightening of the muscle and the skin’s connective fibres will assist in keeping the skin’s elasticity at its maximum. 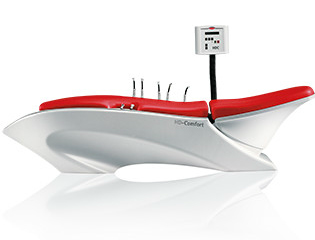 HYPOXI Dermology-HDC – “Cellulite revolution-a glowing complexion, smooth and beautiful skin”. HYPOXI-Dermology is a unique and natural method which provides the ultimate means to train the skin, keep its elasticity and smoothness. The integrated chambers within the HD-Suit stimulate and activate the skin’s cell metabolism through application of alternating pressures (high and low) to the skin around the stomach, hips, buttocks and thighs. The application of high pressure to the skin forces undesired toxins out of the connective tissue, provides lymphatic drainage and enriches the circulation. The application of low pressure increases the blood flow around the lower part of the body, thus bringing oxygenated blood, enriched with vitamins and nutrients, to the skin surface as well as stimulating the metabolic rate. This process of ‘feeding’ the skin from within ensures radiance, elasticity and smoothness, production of collagen and firming of the connective dermal tissue, creating long term results. This method, involving alternating pressures, is 200 times more intense than the well known cupping treatment. Non invasive HYPOXI DERMOLOGY can greatly assist in solving the cellulite jigsaw we have been looking to solve for so long! So here we go, girls! Lisa’s HYPOXI® journey and how she lost 15cm from her hips and tummy in just 3 weeks!